Below we show you a general step by step description and photo of our production and packing process. During production and packing for any of our clients tables we are very thorough and keep them updated by photos and emails. 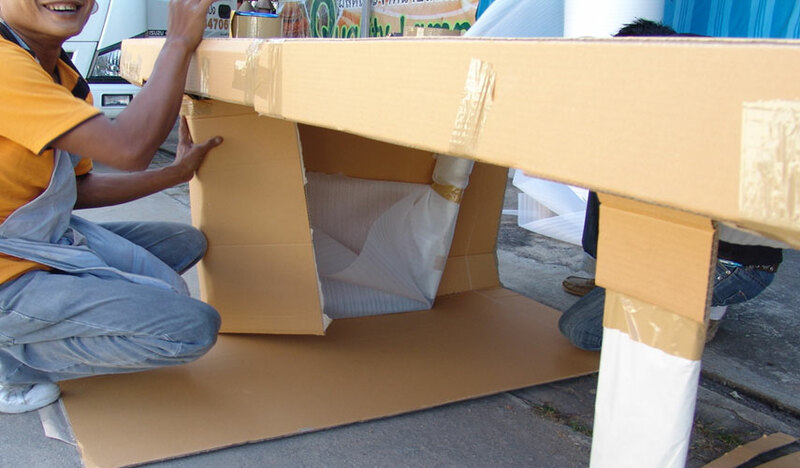 We feel that we are creating their piece of art and want them to enjoy bringing their one of a kind piece to life. 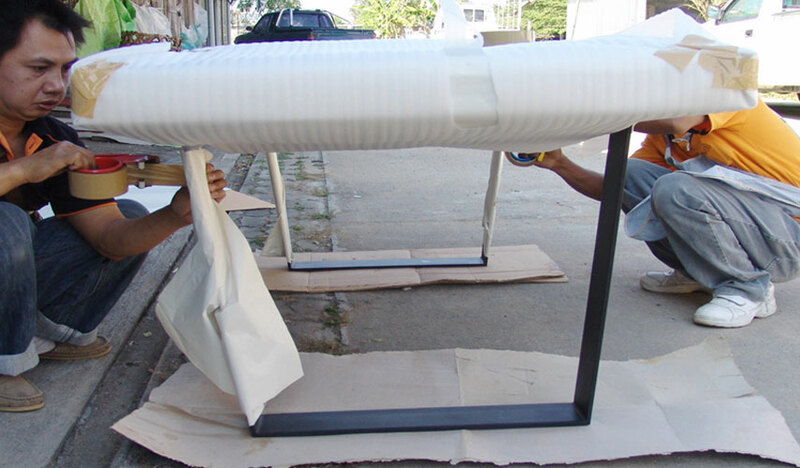 Our production time for custom making our tables is 4 to 6 weeks (depending on the weather). 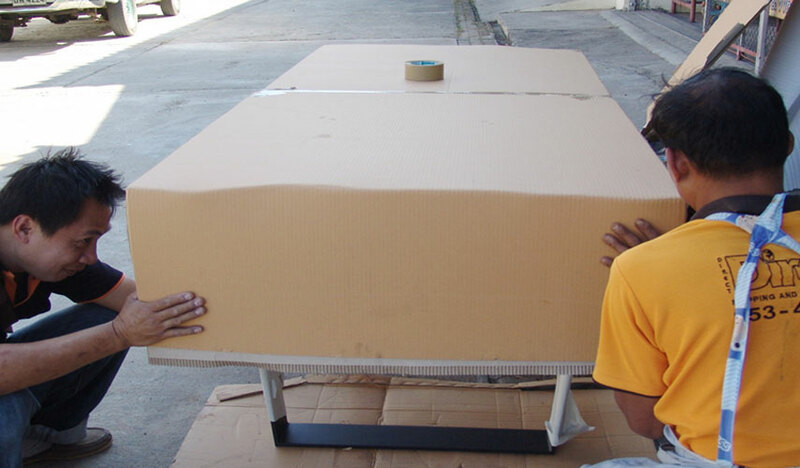 Second step for packing your table we will wrap your table top with a second layer of corrugated paper. After wrapping your table with two layers of corrugated paper we will then fully wrap your entire table top with extra protective foam. Next we will wrap your legs either in wood or steel with corrugated paper and extra protective foam layers for protection during it's transport. Then for your table top we will completely pack it with a thick protective card board layer. Also we will pack your legs with a custom sized protective thick card board layer. 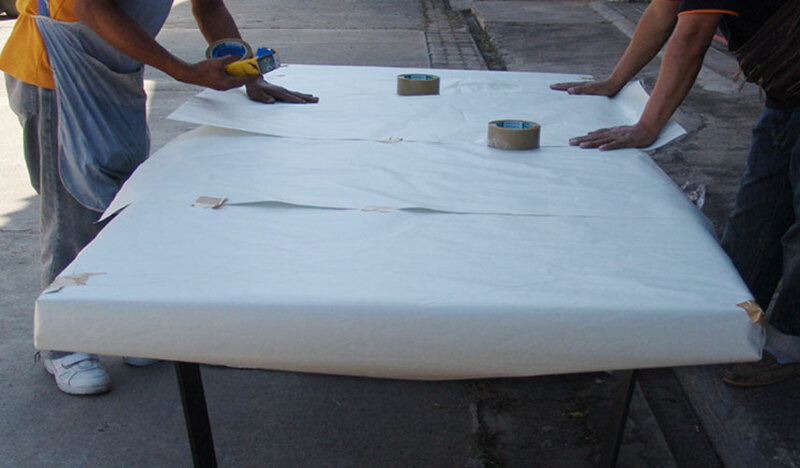 Then we will quality control and wrap a final coat of car board for your entire table to make sure your table is fully covered and protected. 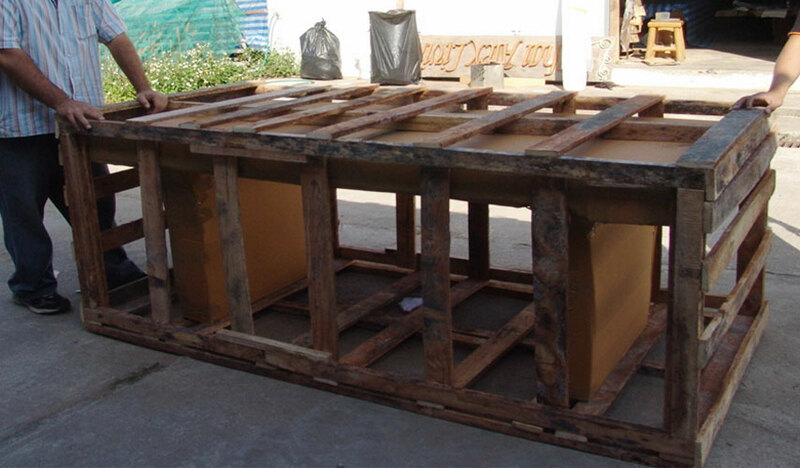 The final step is that we will custom make a wood crate for the maximum protection from damages during it's sea transport and land transport to your destination. 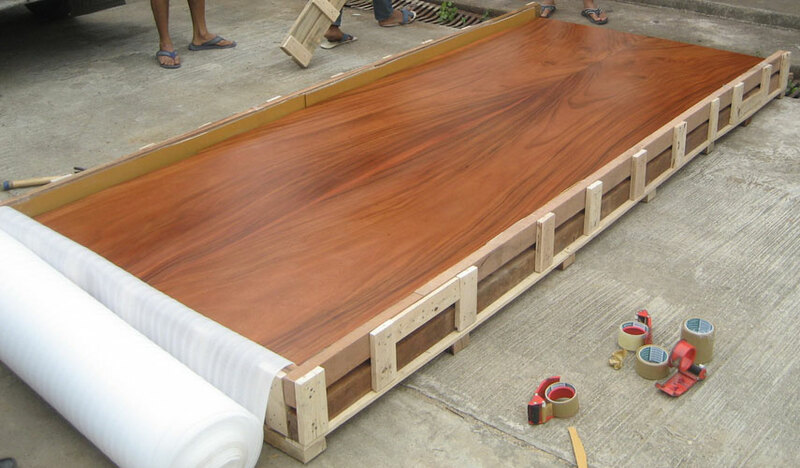 After completing all our steps of our packing process of your table we will send you photos of your table. Then we will have our shipper start all the required documentation and paperwork for your tables sea freight to you. Most of the tables we ship overseas we flat pack the table top and legs separate. 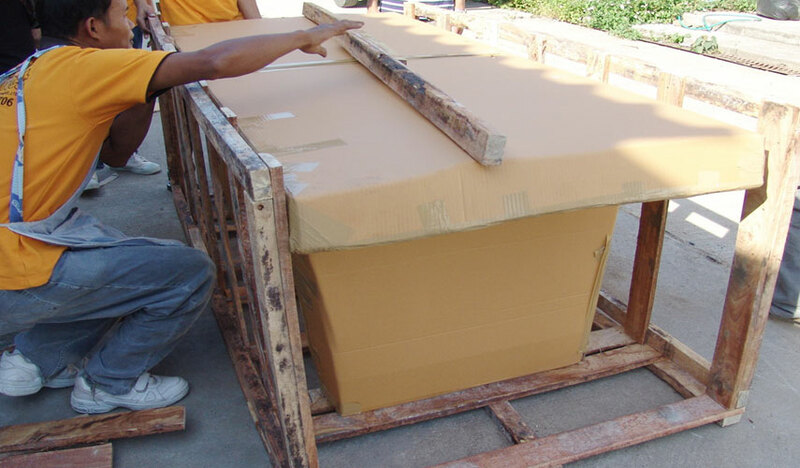 This save our clients on the shipping costs and makes it easier to lift and gives the best protection for it's transport.